University of Illinois at Urbana-Champaign, M.B.A.
Michael D. Rothstein is a Member practicing in the real estate department focusing on acquisitions, dispositions and finance. 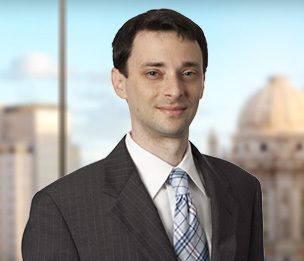 Mr. Rothstein’s acquisition and disposition experience includes serving as counsel to buyers and sellers of multi-family, office, retail and industrial properties throughout the country. His real estate finance practice consists of representing institutional lenders in connection with complex loan transactions including permanent, construction and mezzanine loans and bond related credit enhancement transactions. In addition, Mr. Rothstein has developed an expertise with respect to the financing of student housing facilities as he has represented lenders in financing the construction of over half a billion dollars of such projects throughout the Country. Mr. Rothstein also represents institutional lenders in loan syndications and participations and loan workouts and restructurings. Representing McDonald's Corporation in connection with the sale of its global headquarters in Oak Brook, Illinois as well as a number of other associated properties. Represented lead lenders in over $1 billion of syndicated construction loans throughout the country. Represented lenders in connection with the credit enhancement of variable rate bonds via the issuance of letters of credit. Represented developer in connection with section 1031 deferred tax-free exchange of multiple industrial properties. Represented seller in disposition of approximately 40 lumber stores throughout the country in connection with a restructuring of the seller. Represented purchaser in connection with the acquisition of multi-family projects comprising over 1,000 apartment units throughout the country.